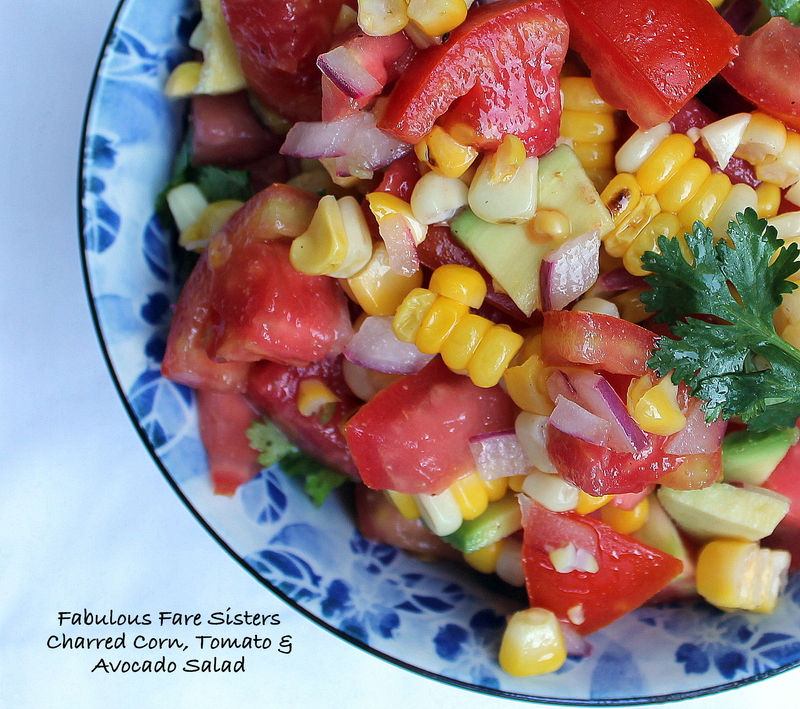 The last of my summer corn was the perfect addition to this healthy salad. I charred the corn and added fresh plum tomatoes and ripe avocado, poured on a zesty-honey dressing and voilà a salad was born. Farewell summer…see you again next year! Cook the corn in boiling water for 3 minutes; remove from water. Heat a grill pan and char the corn on all sides. Cut the corn off of the cob and place into a serving bowl. Add the tomatoes, avocado, red onion and cilantro. Season with salt and fresh ground pepper. In a small jar combine the zest and the juice of the two limes with the avocado oil, cumin, honey, 1/2 teaspoon salt and fresh ground pepper to taste; put the lid on and shake vigorously. 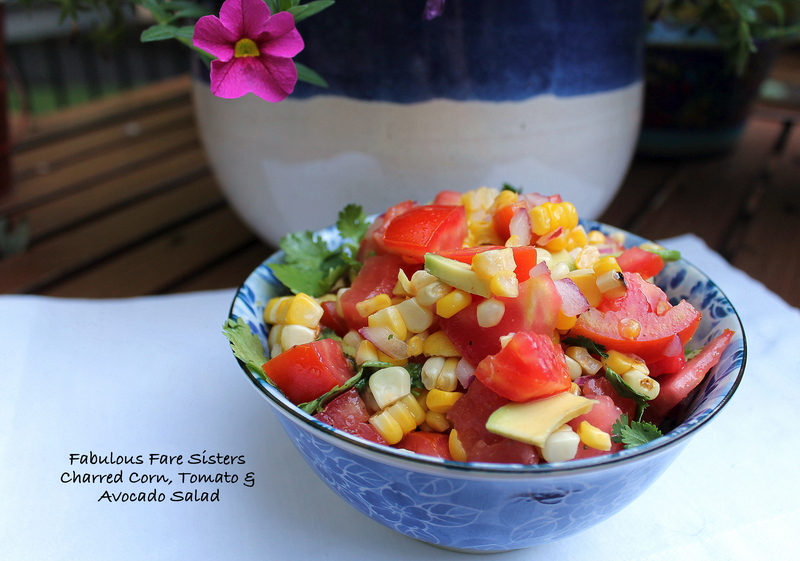 Pour over the Charred Corn, Tomato & Avocado Salad. Toss to combine flavors. Serves 4. 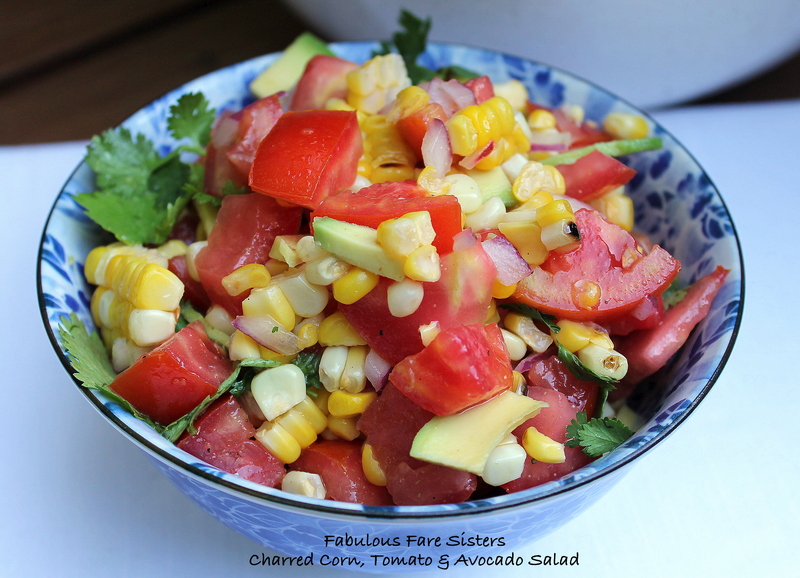 Heidi shared another great Fresh Corn Salad with Avocado & Herb Dressing – check it out! Looks simply delicious. Thank you. My pleasure! 🙂 Thanks for visiting! We’re riding the same wavelengths using the last of the summer corn! I love this recipe! !